With more than 1 billion people, very soon India will become even more populous than China. Compared to the U.S., India has a population that is three and a half times greater while the country itself is just one-third the physical size. Due to significant and continued growth, India’s natural resources are tremendously strained. Unfortunately, agricultural runoff and sewage have contaminated most water sources. According to the World Bank, 23 percent of all communicable diseases in India are linked to unsafe water. 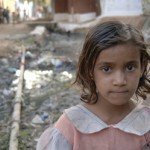 Daily, more than 1,600 people die from diarrhea alone, with children under the age of 5 being at greatest risk. This is real. This is not just a number on a page. These are real people, real children, dying every day because of a lack of safe drinking water. 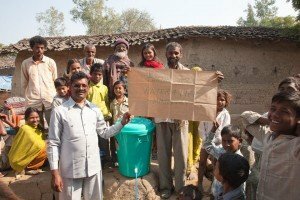 With a Water for Life partnership, the people of India will have clean and safe drinking water. On their first sponsored mission trip in 2010, teams had the honor of working with e3partners. Since 1987, this large world mission organization has traveled to third-world countries to share the love of Christ. Annually, e3partners send thousands of people to more than 20 countries, along with hundreds of people on the ground doing field ministry. On the latest mission trip to India, Al Wilson from e3partners led the team. After he and 23 people from the U.S. arrived in India, 21 native translators, doctors, dentists, and 11 local pastors joined them. During the trip, teams conducted healthcare clinics in Uttar Pradesh, an extremely isolated district. While there, over 3,000 people heard the story of Jesus Christ, with some 400 accepting Him as Lord and Savior. Contaminated water remains a very serious problem in India. Most of the villages visited had contaminated water. As part of standard medical care, teams routinely remove parasites and worms from both adults and children. Unfortunately, small babies and young children are at the greatest risk from drinking disease-ridden water. After giving one family from a remote village a water filter, the team learned that the oldest daughter suffers from a major illness that includes a tumor on her brain compromising mobility and speech. For that family, the water filter was a huge blessing. Initially, Water for Life wanted to create as many partnerships with mission organizations possible. Armed with water filters, organizations took lifesaving filters to impoverished people around the world, but as word spread and demand rose, the second half of 2011 became about raising funds. After returning home from a trip in 2011, Al wanted each member of his team to put at least one filter in each backpack for their trips. Then, after talking to key members of e3partners and his medical director, it became evident that at least 1,000 filters were needed. Now, in 2015, 30 Americans will join Al on his next mission trip to India. For this trip, the goal is to take 60 Sawyer filters. Seeing families helped after learning about the Lord and having safe drinking water is a real blessing.